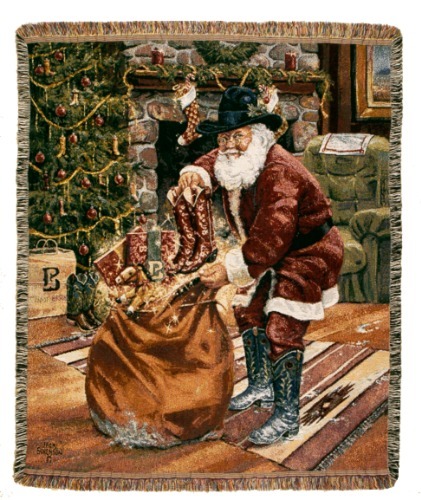 Personalized New Boots Christmas Tapestry Throw. This is the perfect throw for Christmas, look at the design on the throw it is so beautiful with vibrate colors to fill any ones Christmas home decoration. Santa looks cool in his Country Cowboy Boots and Cowboy Hat on during a Christmas delivery while dancing. This is the perfect throw for any one that love a little cowboy in there hearts.